The nights may be getting longer, but the lights are certainly getting brighter with trees lit up. Along with a plethora of ornate decorations, Christmas lights have already made their way on to homes, shops and hotels celebrating the joy of Christmas this year. Few days back we were invited by the Hilton Garden Inn Baani Square to welcome the Christmas spirit in full enthusiasm. We could see lot of young families who were enjoying a weekend getaway. 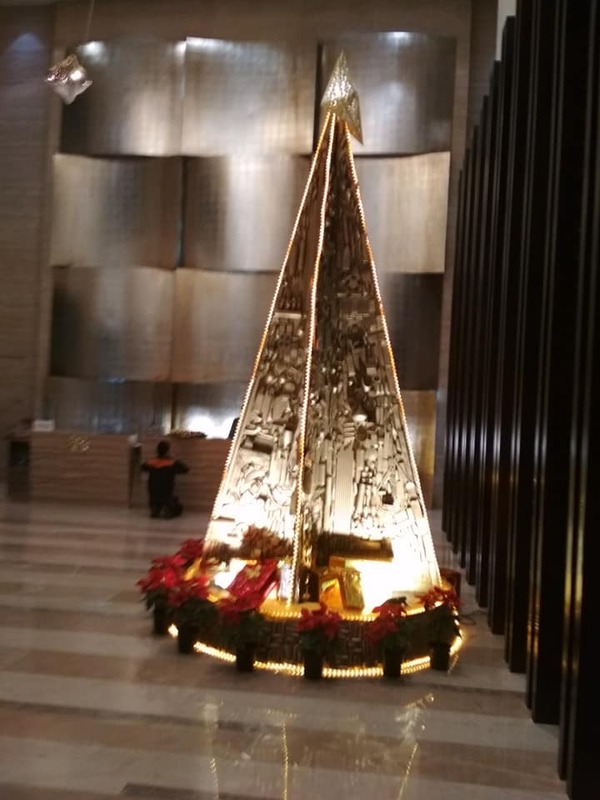 The place was beautifully set up with lights and Christmas tree that illuminated the lobby. While observing it closely I realized the tree was done up in a very unconventional way. There were plastic bottles and several other re-cycled products adorning the tree so artistically. On the other side, there was a ginger bread house placed that looked adorable. 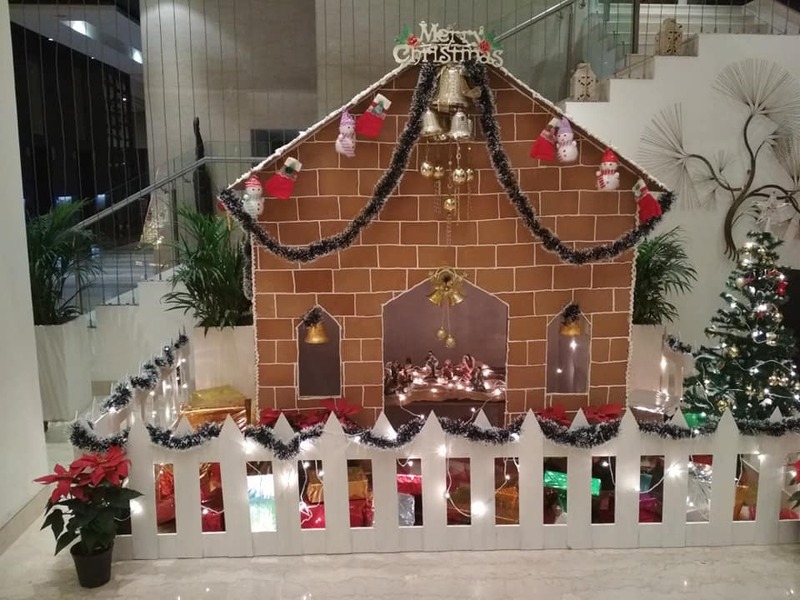 It was commendable how the Hilton Garden Inn Baani Square always brightens up the Christmas season each year with so much radiance. We moved towards their multi cuisine restaurant The Glass House, which was a few steps away. It offers eclectic furnishings with a modern menu that speaks languages from different countries. The restaurant has an expansive cover area boasting of traditional Indian and Western cuisine with a Mediterranean twist, whilst focusing on local and seasonal ingredients. The dining area has magnificent views from each table overlooking the vast open outdoors. I opted to order some warm Minestrone soup that arrived within minutes along with fresh breads prepared in-house. My daughter on the other hand preferred to indulge in pasta. We enjoyed our meal with some wine and loved the experience. The highlight was the succulent sweet delights that arrived after our scrumptious dinner. The desserts were prepared on the occasion of Christmas and tasted extremely delicious. The experience concluded with a lovely gift that contained a sugar coated Santa and a plum cake. We thanked the lovely PR Manager and headed back taking some beautiful memories of the experience.